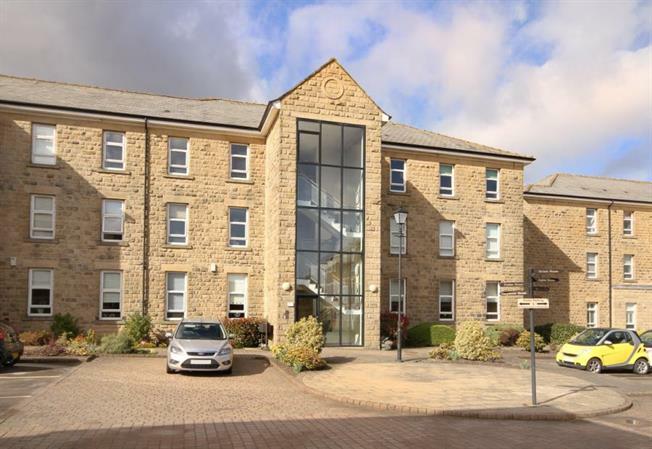 Situated in this award winning development, on the outskirts of Sheffield and close by to beautiful walks through open countryside, is this attractive and well maintained 2 bedroomed first floor apartment, having the benefit of gas central heating, double glazing and allocated parking space. There are local shopping facilities and amenities in Crosspool and Lodgemoor, regular public transport to the city centre, principal hospitals and universities, with local schools and parks. The accommodation comprises a communal entrance door with intercom opening to a communal entrance hallway with stairs to first floor landing. The apartment had entrance hallway, an open plan living room and kitchen, with wood effect flooring throughout, a pair of windows to the front, the kitchen area has an excellent range of base and wall units with central island, integrated oven hob and ceiling extractor, tiled splash backs and work surfacing. Bedroom one has wood effect flooring and window to the front with doo to the ensuite having WC, wash basin and recessed shower enclosure. Bedroom Two has wood effect flooring and window to the front. The Bathroom has three piece comprising WC, wash basin and bath with shower over and screen, tiled slash backs. To the exterior of the property, the development is set within beautifully maintained grounds with allocated parking space and visitor parking.